The virtual game that led to a new reality. This is Wes' story of his real-life journey to new heights. 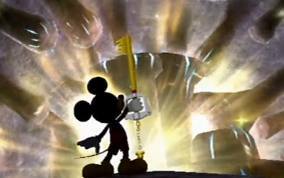 I’ll never forget the moment I first beat Kingdom Hearts. I was in the 5th grade and it was a Saturday night. I had already died trying to fight Ansem multiple times. I was only at level 42 and my usual button mashing wasn’t serving me well. I thought I would need to leave the game on pause overnight. After all, I was the guy who got stuck in Traverse Town for a month – there was no way that I could possibly finish the arduous task of saving the universe within the next hour. But suddenly, I struck the final blow, and as the screen became a blur and the final cut scenes rolled, I realized: this is it. What I didn’t realize was that Kingdom Hearts would affect many of my later decisions and interests, and lead me to where I am at today. What I didn’t realize was that a simple game could change my life. You can say that this last scene in KHI set the mood for the rest of Wes' story--it's just getting started. I bawled all through the credits. The next day I was in a severe depression. “Where do I go from here?” I thought. I was purposeless. It wasn’t long before I found the online Kingdom Hearts community. I stalked IGN daily for updates, along with Kingdom Hearts Insider and Kingdom Hearts Ultimania. My middle school typing class could not get me to type any faster than my grandma, but spending exactly two weeks over my winter break on GameTalk’s Kingdom Hearts forum was all I needed to bump myself up to 100 words per minute. It was around this time that YouTube came around, and I discovered the wonder of AMVs. What was this magic? Turns out, it was a combination of Windows Movie Maker and kh-vids.net. One of the first ones that I watched was literally just the Deep Dive video put to the song “In The End” by Linkin Park. The video wasn’t long enough to cover the song, so the user put footage of ducks over the end. I thought this was how it was done, so I did the same. Some of my first videos ever were the Deep Dive video married to songs such as “Follow Me” by Uncle Cracker, “Photograph” by Nickelback, and “Ocean Avenue,” by Yellowcard. Slowly, I began to edit the videos to the beat of the song. Use footage from other cut scenes. Add effects. It wasn’t long before I was a fully-fledged YouTuber. Some of my videos had more than 20,000 views. I had music videos, fan trailers, and other fun stuff. Although Youtube has since censored many of fans' AMV contributions, the learnings from the hard work survives well into the future. This wasn’t some small trend either. Every Kingdom Hearts fan page was a draw for creators like myself , and we were all learning the same things at the same time. We were all there to support each other’s videos with words of encouragement and good critique. I never felt judged, or like I was out of my league. YouTube was a sandbox for all of us to learn by doing, and KH fan pages allowed us to share our learnings –it was a true community of fans expressing ourselves. It was through this great environment that I learned one important thing: I loved editing. It was a form of storytelling, and in my mind, the most entertaining one. I could be editing for hours and feel as if only minutes had passed. It was officially my new favorite pastime. In high school, I took my YouTube audience and my experience in video editing and put it to work. I began making songs, skits, and vlogs (video logs) every week or two. Everyone around school knew me as that kid who made movies, or the YouTube kid. I frequently brought my camera to school and filmed nothing in particular. This brought me some attention, and I picked up a job doing a promotional video for my local Greenpeace chapter, among other things. In my junior year, the dean of my school came to me with an offer: the chance to edit a feature length documentary. The people who funded my high school had also created a program in which 20 Jewish people and 20 Palestinians met in Israel to eat, sleep and travel together. These teens would argue, bond, and ultimately learn to coexist. Someone from my school had filmed the entire three-week program, but then dropped out of the project, so I was offered the chance to edit the footage however I saw fit. The documentary ended up going to the Jewish Film Festival. It was from this experience that I realized that not only do I love editing, but that this is what I want to do with my life. I want my hobby to become my job. I want to work with the medium that I love. I want to tell stories. Wes' passion and skills led him to the prestigious New York University's Tisch School of the Arts. 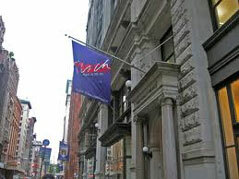 Now, I am a Sophomore in New York University’s Tisch School of the Arts, studying Film and Television. I am working on my second feature length documentary about the same program (but this time, I traveled to Israel to film myself), and I’m up to my neck in work and opportunities. I’m surrounded by people who are as passionate about what they are doing as I am, and I live in one of the greatest cities on earth. My original YouTube channel with all my old content has been deleted. With YouTube’s new enforcement of its copyright laws, all of my Kingdom Hearts videos were deemed unoriginal and inappropriate for the eyes of the internet, and all records of me have since been wiped from their server. It’s a shame that they can’t recognize how important a role those videos played in my life, and how – though modest – they were still a form of creativity and self-expression. The opportunity to be part of the Kingdom Hearts community fostered my growing interest in editing, which led me to some of the most amazing opportunities of my life. It is for this reason that I am still nostalgic for Kingdom Hearts, and for you – the community of fans – because simply having you as an audience to talk to and to make movies for, I felt that I was spending my time on something worthwhile. It is evident to me that Kingdom Hearts has led me to where I am today, and for that I couldn’t be more grateful to everyone who made me feel as if what I was doing meant something, even if the videos themselves didn’t. So, all this about a game? Did a game really change my life? Well in my eyes, Kingdom Hearts isn’t just a game: it’s a story. And if I can find one common thread in my life since first watching Sora and Kairi drawing on the walls of the secret place, it has been the need to tell a story. Stories are a powerful thing. A story has the power to captivate you, a story has the power to bring you to tears, and sometimes, a simple story has the power to change your life. I hope you enjoyed the article! A little about me: my name is Wes Middleton, and if you’d like to get in contact with me, my email is runitswes@gmail.com, and you can find me on YouTube at youtube.com/runitswes or Vimeo at vimeo.com/wesmiddleton. I always enjoy talking with a fellow fan, so feel free to contact me. Thanks for reading!